All about nanotechnology, nanomedicine, nanotubes and everything else nano. There is hardly any doubt that nanotechnology is very beneficial to man. With all the applications this new frontier of knowledge has seen from the human body to industries and chemicals, thus far, nanotechnology has lived up to its name in enhancing the wealth of knowledge possessed by man. Despite this gains however, nanotechnology research continues on high gear to discover more truths that will help man in so many ways. Today, nanotechnology research is not only limited to the laboratories of scientific bodies, personnel under the employ of big companies that benefit from nanotechnology are also doing their own nanotechnology researches. The field of heavy equipment and industries are some of the busiest areas of nanotechnology research. With the projected benefits nanotechnology promises these industries, there is no wonder why they should busy themselves with furthering the impact of nanotechnology. The main benefit comes in the form of creating machineries that are light yet very durable. When equipments are made lighter, they do not cause much strain on the engine, thus it maximizes the consumption of fuel. The aerospace and aircraft production industries are also bound to benefit from continuing nanotechnology research. This is because with nanotech, aircraft and rocket parts are made lighter, thus minimizing fuel consumption. As a result, companies that are in the air travel business are also benefited from lower fuel consumption from aircrafts that are lighter and speedier. In the field of optical technology, nanotechnology research is used to develop lenses and glasses that are scratch-resistant and tough. 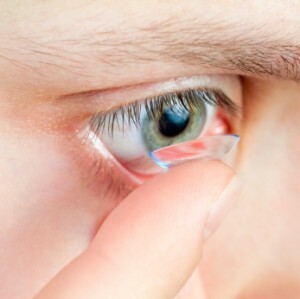 It also results to the creation of lenses that do not cause interference with one’s vision, thus giving the wearer clarity of sight sans any inconvenience. In the field of cosmetics, one important research on nanotechnology leads to the development of sunscreen based on nano particles. As a result, sunscreens are better when it comes to providing protection from the sun compared to the traditional UV protection systems that is the standard today in most sunscreen products. With nanotechnology-based sunscreens, the cosmetic is able to penetrate deeper into the skin layers to cause the cells to react against getting burned by the sun. This is considered to be far better than simply superficial sun blockage, which is common in conventional sunscreen cosmetics. In health, nanotechnology research is also key to advancing tissue engineering. This is very important when there is a need to repair damaged tissues, especially those affected by severe diseases. Moreover, nanotechnology is also one of the most promising applications that scientists are employing in the fight against the human immunodeficiency virus (HIV). In this, the process aims at killing affected cells to prevent their replication and thus stop the spread of the disease. Moreover, because it is atomic in nature, nanotechnology is far better than taking medications because unlike the latter, it does not affect otherwise healthy tissues, specifically attacking only the affected ones. This entry was posted on April 20, 2010, 3:42 am and is filed under nanotechnology. You can follow any responses to this entry through RSS 2.0. You can leave a response, or trackback from your own site.